I found my eleven year old daughter barefoot, sitting indian style on the warm grass. I joined her. 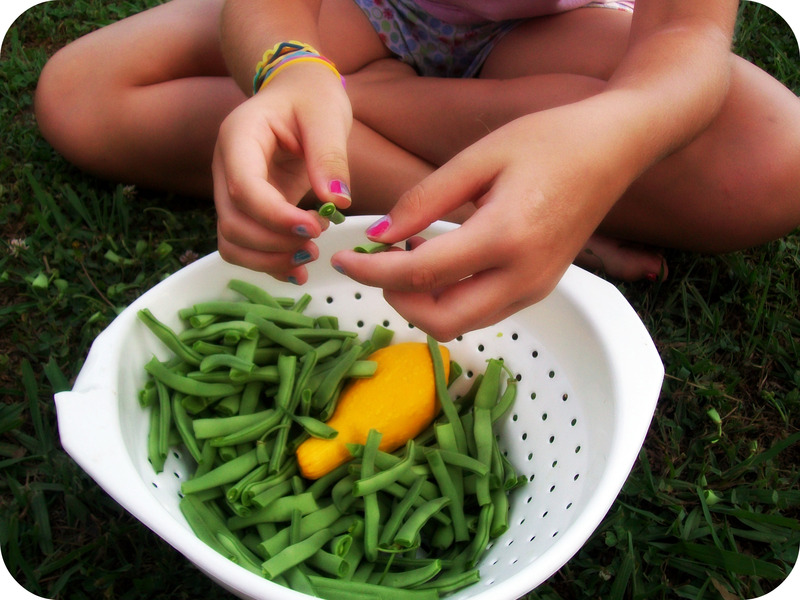 We began snapping green beans picked out of our garden the day before. The week had been demanding and we seemed to be running in different directions. Even when we were together we were focused on scheduling the next day, the next event and how to work out the logistics. VBS, ballgames, spending time with friends from out of town, our hectic calendar was leaving us disconnected. So we sat and talked as the sun beat down on our backs. We sidestepped all the big subjects that seem to rise when we’re alone, things that can’t be discussed in front of her brothers. Instead, we laughed about funny friendships and peculiar boys. In the middle of our yard, we connected. And if it’s possible, I fell in love with her just a little bit more. I enjoyed the talk but the snapping beans part we could of saved for another day. 😀 Hehe I love you Mom! oh my gosh! i am still crying! love you and you beatiful family. missed all of you soooo much at the gathering!